You sit at your desk and open your inbox to see the flood of new emails pop up. You notice a reply from a pitch you sent out not too long ago, asking for a phone interview. You smile, give yourself a pat on the back and begin to research everything and anything about this prospective client’s business. When it’s time to interview the client, you seem to have forgotten what to say or what to ask. Before ending the conversation, you feel there’s no way the client is going to hire you and you hang up your cell phone, crushed at ever thinking you could’ve pulled the interview off. If you are a new freelance writer, landing your first client is exciting, but nerve racking. In addition to brushing up on your interview skills, new freelance writers have to portray themselves as if they’ve been doing this for years and that this client is just another gig in their portfolio. It can be a recipe for disaster, but it doesn’t have to be. My blog series, Freelance Writing Jobs for Newbies, is for the new freelance writer who is navigating the journey to getting their first high-paying client, acing the client meeting and determining their rates. 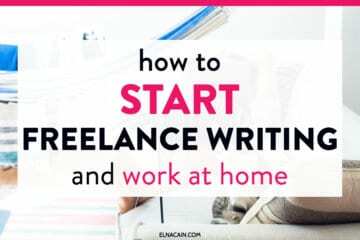 For those of you that aren’t new to freelance writing, you can benefit from this blog series, as well. My first blog post in the series, Landing Your First Client, talks about what I did to grab my first high paying client. In this post, 10 Questions to Ask A Prospective Client, I’m going to tell you what you should ask when talking to a high-paying client. As freelancers, you’re in control of who you want to collaborate with and having a set of standard questions will help flush out clients from those who undervalue your services and from clients who know the importance of quality content. Any questions I have are usually typed up and easy to access when I’m meeting with clients over the phone or in person. It helps, but I find that my nerves often get in the way. For me, I need more practice meeting with different clients. The more I talk about my services and what I can offer to a company, the easier it is to sound credible. What Do New Freelance Writers do When They Get an Interview? Just to clarify, you are interviewing the client to see if their company is a good fit for your services. We are not employers; we are entrepreneurs. So what happens when you suddenly get a “call back” on a pitch you sent? For a new freelance writer, how do you know what to ask? You want to sound like you know what to say, but your nerves and your lack of knowledge leaves you in a vulnerable position. The client may pick up on this and decide to go with another freelancer. The good thing is you can have your notes in front of you and, if you have time, you can rehearse the interview beforehand. So before you answer that phone or accept a Skype call, take a look at the 10 questions to ask a prospect. 2. What Does Your Businesses do? 3. What’s the Budget for Your Project? This is an important question to ask because it will tell you right away what clients value in written content. It also tells you whether or not they can afford you. This is an easy negotiating tactic and should be asked at the beginning of your meeting. Some clients will be vague about the budget and tell you the entire budget for the project and not your direct part in it. If this is the case, let them know your rates at this time to see if it scares them off. Always remember, if they can’t afford you, then they aren’t the right client for you. 4. Who is the Target Audience For the Project? It’s important to know whom you are writing for. Who will be reading the blog? How old are the people purchasing your product? Do you find one gender gravitates towards your product? Your writing will benefit from knowing the specifics of the client’s audience. 5. What is the Tone of Your Article or Blog Post? Businesses have a brand that is conveyed through the tone of their website. In order to capture their brand, freelance writers must know the tone, or feel, businesses want to show their audience. Some clients want you to write in a conversational tone. A lot of freelance writers view this as easy (like me), and it’s often easier to convey. Other clients require a more formal or technical tone for their content. You may have to follow specific style guides like MLA or Chicago Writing Style. One of my clients wants me to follow the Canadian Press, or CP Writing Style. 6. Do You Want Your Content to be Optimized for Search Engines or Social Media? Sometimes your client may not know the benefits of either editorial SEO or SMO. It is our job to educate our prospective clients on the benefits of both SEO and SMO. If you find that your client relies heavily on SEO tactics, then you know that keyword density is a focus in each article or blog post you will write for them. On the other hand, if your client values SMO tactics, then you know gaining social media attention is their main objective. 7. Will I Have a Byline or Will it be Ghostwritten? As a freelance writer, I want recognition for my writing, so it’s important for me to know before I take on a new client, whether or not I will have a byline or my name attached to my content. I usually offer a small discount as an incentive when the client includes my name. 8. How Often do You Need Content? Knowing how much time you will be devoting to a particular client can help gauge whether or not you will take them on. Since I’m a mom with twin toddlers, I have limited time to devote to my business. I want to make sure that the clients I have fit my schedule and that I don’t end up burning out from the constant pressure of meeting deadlines. 9. How Many Words are Needed? For articles, press releases, blog posts or white papers, it’s nice to know how many words are required for the written assignment. It also helps in judging how much you are getting paid per word. 10. Do You Have an Editor on Staff? If you aren’t working for a magazine or print businesses, there’s a good chance you won’t be submitting your work to an editor. It’s good information to know beforehand. While every freelance writer edits their own work, if you know your work is going to a site manager instead of an editor, you might want to pay more attention to your work. Run your work through multiple grammar sites. I use the grammar checker in MS Word, Ginger Grammar Checker and PaperRater. In my next post for Freelance Writing for Newbies, I’m going to talk about setting your rates as a freelance writer. This can be hard when you know there are freelance writers who will work for pennies while others work for dollars. How do you decide your rate? Find out in my next post! Until then, what have you found to be the deal breaker when talking to a prospective client? Elna, every post you write I learn something. This is amazing. Becoming a freelance writer is something I would like to do. I am stumped by things like where to start to build a portfolio. But I am learning from you. And now I know what questions to ask. Thank you! Thanks for your useful suggestion you gave me. And I would also like to say that keep up with the good work ELNA as your blog is an eye-opener for Free lance writers like me. Thanks Elna for writing such a beautiful post. I have been struggling to get a client as and once the client took 3 contents from me of 1000 words each and did not even pay for the same. What to do in such cases as the client demand to see the work on their topic and say they make payments monthly and stuff like that. Can you tell me some portals where I can find genuine clients who require freelancers to write for them. Thanks for coming over here 🙂 Freelance writing job boards are the best way for new freelance writers to get clients 🙂 Good luck! Thanks so much for this post! I received an email from a potential client after cold emailing a bunch of tech companies. I scheduled a phone interview this Thursday, and have been fretting over what to say. That’s great and it sounds promising, but don’t worry! You’ll do great. I have become a fan of your writing; it is clear, concise, and most important—sympathetic. I am really enjoying the step by step tutorial of freelancer journey. Thanks so much! It’s important to ask these questions for new clients 🙂 Good luck. Thanks for opening so many eyes Elna! newbie,effectively compete in the marketplace. And no doubt, you have potentially shaved years off of their learning curve! Thanks for sharing some really practical tips! Elna! Such great information! I finally got things organized enough I’ve got some time to come and start reading your series and I love this article, really. It’s so scary to step into doing something you’ve never done, it’s nice to have this information to sort of hold my hand and walk me through it. Thanks for the comment. I posted my last blog post for this series, but February is a new series that I hope my readers will enjoy. Stay tuned! Excellent article. However, I would not ask your number two question. “What Does Your Businesses do?” In my opinion, this makes it sound as if you didn’t even check to see what their company does. I know you stated earlier in the article, “You smile, give yourself a pat on the back and begin to research everything and anything about this prospective client’s business.” But, some “newbies” might just write down the ten questions and forget that you also stated, indirectly, they should research their prospective client prior to the interview. Thanks Stephan for replying and singing up! I can see why you wouldn’t ask “what does your business do?” It does sound as if you have no clue going into the interview. I just feel it’s a formality is all. It gives the owners time to tell me exactly what type of business they are and who their clients or products are. They offer a better insight than if I had researched them online. Hi Elna, Great article for newbies. I’m excited to read your next post since I’m curious how you deal with clients who compare your services or rates to bid sites or content mills. I haven’t been approached by clients who deal with content mills. I assume businesses who seek low paying writers, don’t expect quality (and when I tell them my rates, I’d be surprised if they stuck around). 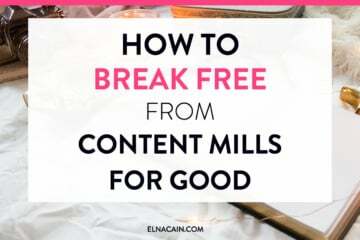 I’m trying to teach new freelance writers to look beyond content mills and bid sites and to roll up their sleeves and do a little marketing work. I never got work off Guru or oDesk. My rates may have been a bit too high, I don’t know, but am glad I never got hired. Writing for content mills sours your writing and can make you lazy (i.e. not want to to the leg work for quality content like researching, interviews and fact-checking). Hopefully my series will direct newbies in the right direction of better paying gigs. Thanks for commenting. My next article will be on determining your rates. How does a freelance writer know what they are worth? If I may add one question which everybody should always ask a prospect – “what do you expect of me”? This helps the freelancer determine what your client’s expectations are. The way this question is answered tells you a lot about the client, too – how much he knows about working with writers (in your case), work process, writing process, and so on! Thanks for leaving a comment! Asking questions to prospective clients can be an anxiety-provoking situation. I know I bombed the first of my interviews simply because I didn’t know the right types of questions to ask. I forgot to ask about their target audience or when the turnaround time is. I also failed to ask about their company, their competition and how prevalent they are in their niche. I do have additional questions for those who sign up to my newsletter, so I will make sure your question is on there! Thanks. 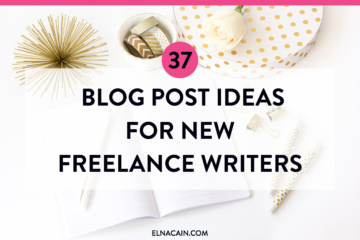 PS, your blog is one of my go-to blogs for learning about the business of freelance writing! Thanks for the kind words, Elna – I am glad my blog is helpful to you! 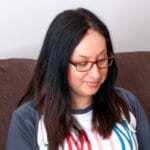 As you know, I am not writers’ focused (as I am not a writer) – I wouldn’t have a clue how to show starting freelancers how to conduct expert interviews or how to craft the perfect pitch letter for a magazine. Having interviews can be overwhelming. I know when I first started interviewing for this profession, I was extremely nervous and didn’t say much. It’s only with practice and getting yourself out there that you start to relax and enjoy meeting new people! I hope my questions eased any feelings you have towards interviews! Your posts are informative and very helpful. I look forward to your upcoming posts. Thanks so much for your comment. I’m glad you feel my questions are helpful for freelance writers. For me, I always get tongue-tied when I’m speaking to a prospective client, so having questions handy really helps take the edge off the interview process. Thanks Julie for your comment! Really appreciate it. I believe these questions can help freelance writers weed out prospective clients that know the value of content from those that don’t. I hope you had a great holiday and are ready to tackle 2015 with gusto! I am! Talk soon, maybe at Starbucks again? Glad you are keeping up with my posts! I will be doing a few more posts on the Freelance Writing Jobs for Newbies. I’m enjoying writing the series and I hope it’s something my readers and subscribers want to learn. Thanks for leaving a comment! My holiday was great! And I’m busting to get out there in 2015. I hope your 2015 will be prosperous and exciting. How was your holiday? Starbucks again sounds like a plan. I’ll let you know when I can!